WonderPlanet, Former SQUARE ENIX President Yoichi Wada Appointed as Director – Aims to further strengthen management system through the introduction of an executive officer system – | WonderPlanet Inc.
NAGOYA, JAPAN-Aug 31, 2016 – WonderPlanet Inc. (Founder and CEO: Tomoki Tsunekawa) announced that former SQUARE ENIX president Yoichi Wada has been selected as an outside director, and he assumed the post, as of August 30, 2016. Our company has also decided to select a new external director to further strengthen our corporate governance system and make our management more transparent. 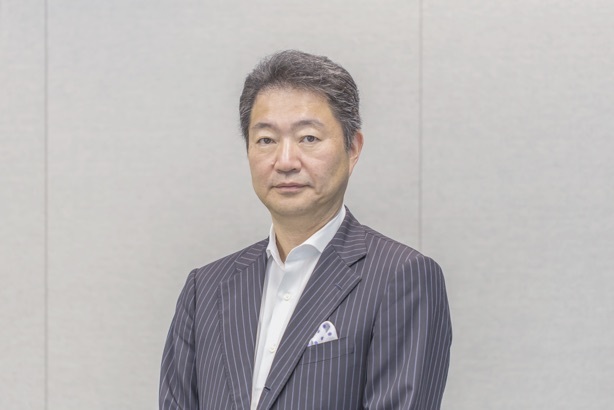 Mr. Yoichi Wada has been involved in the management of a public gaming company for more than 10 years and has a deep knowledge of overseas development of his own company’s IP games, acquisition of International game software production companies and other global digital entertainment businesses. In addition to this, Mr. Wada is originally from Nagoya where our company is located. Therefore, we determined he would provide beneficial advice and suggestions regarding our company’s overall management and selected him as an outside director. In the future, we aim to further establish a strong and robust management structure under the new system. Mr. Wada was born in Aichi Prefecture in 1959 and subsequently graduated from the Faculty of Law of the University of Tokyo. He started working at Nomura Securities Co., Ltd. in 1984. In 2000, he began working at Square Co., Ltd. He was appointed representative director and president in 2001. Starting in 2003, he was the representative director and president of SQUARE ENIX Co., Ltd. From 2008 until 2013, he was the representative director and president of SQUARE ENIX Holdings Co., Ltd. He has been the chairman of the Computer Entertainment Supplier’s Association (CESA), chairman of Sub-Committee on Copyright of Keidanren (the Japan Business Federation) and member of the Japan Brand and Contents Council. In May 2015, he became the director of Metaps Inc. He received the Medal with Blue Ribbon in April 2016. The smartphone has advanced to a truly wonderful platform to boost new power. WonderPlanet has emerged as a blazing comet among a group of young new stars. Their refreshing game style reflects theirselves. Although I was born and grew up in Nagoya, I have been away for almost 40 years. I am very grateful to be able to have this rare chance to contribute to my hometown by supporting my fellow local young friends at the moment they are trying to take their company to the next level around the world. I will be supporting them with all of my effort and I hope you support WonderPlanet as well. As of September 1, 2016, our company has introduced a new exective officer system and the details of administrative structure are listed below. Since our company was established in September 2012, we have developed and operated products targeting the global market with a focus on not just Japan but the Asian region. These changes to our administrative system will help us further strengthen our management structure and accelerate our rollout of operations globally.